IIT JAM 2019 – IIT Kharagpur conducted JAM 2019 on February 10, 2019. After the successful commencement of IIT JAM 2019, the university released the answer key on February 25, 2019. The results and final answer keys of IIT JAM 2019 were released on March 19, 2019. The university has released the application window for downloading the scorecard on April 2, 2019. The last date of downloading the scorecard is July 31, 2019. The application form submission for JAM 2019 admission has been started from April 12 and will continue till April 25, 2019. The admit card was earlier released on January 7, 2019. IIT JAM, also known as Joint Admission Test for M.Sc Programmes, is an entrance exam conducted for the admission to the postgraduate programmes offered by IIT’s and IISc. Bangalore. IIT JAM 2019 was conducted for 20 subjects offered by the participating IIT’s. The notification of IIT JAM mentions the schedule of the examination and other important events related to the admission process of JAM 2019. The 19 participating institutes offer around various programmes such as M.Sc, Joint M.Sc-Ph.D, M.Sc PhD dual programme, integrated PhD, M.Sc- M.Tech, M.Sc- M.S (Research), and other postgraduate programmes. JAM 2019 counselling procedure has begun with the release of the Admission forms on April 12, 2019. Candidates can check here the details related to the admission procedure, JAM 2019 official website (jam.iitkgp.ac.in), registration and application process, eligibility and other procedures related to the exam. The important dates of JAM 2019 mention the schedule for the events related to JAM 2019 admissions. The admission procedure for JAM 2019 started with the application form which was released online on September 5, 2018. After the application forms are submitted the JAM 2019 admit card containing the exam centre, time and candidate details were released online. JAM 2019 was conducted on February 10, 2019. After the scorecard for JAM 2019 is released the candidates will have to fill and submit an admission form as part of the counselling procedure. After submitting the admission form IIT Kharagpur will release three consecutive admission list bearing the opening and closing rank for each subject. Candidates whose rank and marks fall under the opening and closing rank can move ahead with the admission process. Candidates who qualify can also apply for M.Sc programmes offered by the National Institutes of Technology (NITs) and Centrally Funded Technical Institutes (CFTIs) through common counselling portal of IIT JAM 2019, also called CCMN 2019. JAM 2019 is conducted as part of the admission process for the different postgraduate programmes offered at the different IIT’s. There are a total of 20 programmes out of which one is an integrated PhD programme. The participating IIT’s offer different postgraduate programmes including dual degree programmes and integrated PhD programmes. IIT JAM 2019 was conducted by IIT Kharagpur on February 10, 2019. 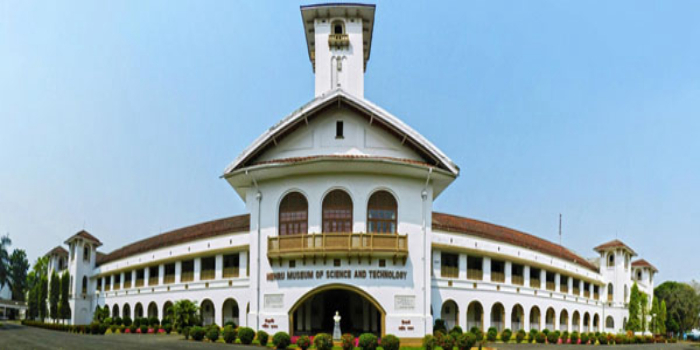 16 IIT’s conduct admission to its postgraduate science programmes through JAM 2019. The Eligibility criteria of JAM 2019 is the minimum marks required by candidates to apply for the different courses offered. A few important points related to the eligibility is given here. All the candidates who wish to appear for JAM 2019 must have completed their undergraduate in a related subject. The eligibility criteria for the different subjects will be different. If the candidates do not fulfil the eligibility criteria their admission can be revoked at any step of the admission process. Candidates must make sure to go through the eligibility criteria of each subject carefully before applying for the examination. The application process of JAM 2019 has been closed. The last date to apply was extended until October 12, 2018. Before filling the application form, the candidates had to complete the registration process for JAM 2019. Candidates had to register themselves at JAM Online Application Processing System (JOAPS) by filling and submitting details such as email address, password, name and mobile number. After registration is completed candidates can now move on to fill the application procedure. While filling the application form candidates had to make sure to check all the details including the subject of choice, exam centre of choice and academic personal details. The details of the application fee are mentioned here. The sessions in which the exams will be conducted will depend on the subject of choice. Hence, candidates must make sure that the subjects that they choose, fall under different examination sessions. JAM 2019 was conducted in the exam centres situated in the eight IIT Zones. The details related to the examination centre was mentioned in the admit card which was released online. Candidates must make sure to check the exam centres carefully since no change in the exam centre will be allowed after the admit card is issued. The syllabus for the different subjects was prescribed by IIT Kharagpur. The syllabus of JAM 2019 mentioned the different topics that candidates need to prepare to appear for the exam. Candidates could check the syllabus to prepare themselves for the entrance exam. Candidates who wish to apply for the M.Sc Programmes offered by the participating institutes must prepare themselves for the IIT JAM 2019 entrance examination. Candidates can follow the preparation tips given here. Start by preparing a time-table dividing the studies as per topics and allowing a specific amount of time to go through each topic. Preparing notes. Preparing notes both short and long will help in better understanding of the different topics. Prepare according to the exam pattern. Referring to the previous year answer keys will also help while studing. Check the syllabus and divide accordingly. Diving the syllabus according to its importance will help candidates in knowing their own weakness and strength in the different areas of a particular subject. Solve as many sample papers as possible. The sample papers for JAM 2019 is available online. Candidates can download the sample papers and solve them. This will help in understanding the examination pattern as well as give the candidates an idea about the different types of questions that could be asked for the examination. IIT Kharagpur released the links to the mock tests for JAM 2019 on January 9, 2019. Candidates appearing for JAM 2019 could practice with the help of the mock tests for the programme of their choice. Mock tests were conducted in real time which helped candidates manage time and get themselves acquainted with the examination timing. Solving sample papers of JAM helped candidates in understanding clearly the exam pattern for the different subjects. Candidates could get the sample papers online. The sample papers helped candidates to understand how well they can attempt the test. It also gave them an idea of what type of questions would be asked for the exam. The JAM 2019 admit card for the entrance exam was issued on January 7, 2019 at 9:30 pm. The admit card for JAM 2019 was available online only. To download the admit card 2019 candidates had to provide their enrollment ID and password. The admit card mentions details such as the name of the candidate, time, duration and venue of examination and subject for which the candidate is appearing. JAM 2019 results was declared on March 19, 2019 along with the final answer keys. The result is available in online mode. Candidates can check their result by entering their login credentials (login ID and Password). The results of JAM 2019 mentions the marks and rank secured by the candidate along with the name of the subject. The marks is displayed in the form of JAM 2019 score card. The cutoff of JAM 2019 will be determined after the results of JAM 2019 is declared. The cutoff is the minimum marks required by candidates to qualify for the admissions to the subjects they have applied for. Every subject will have different cutoff marks depending on the number of applicants and the reservation for different categories. Candidates who have applied for the admission process will be called for the counselling procedure. Candidates must note that the admissions will be based on the merit list released by the conducting board of the entrance examination. The conducting institute will release upto 3 merit lists based on which the admission procedures will be conducted. Question: Who will conduct IIT JAM 2019? Answer: IIT Kharagpur will conduct IIT JAM 2019 in online mode. Question: How to fill JAM 2019 Online Application Form for Admission (or Admission Form)? Answer: Candidates need to click on the JOAPS login to fill application form. Question: Which Certificate should be uploaded for Nationality? Answer: If you are a General Candidate (and not a foreigner), you have to upload any of the following Certificates for Nationality. 6.Nationality Certificate issued by the authorized government agency. Question: How many preferences can be added? Answer: You can add as many number of preferences as possible based on the qualified JAM Test Paper(s). But you must ensure that the eligibility requirements of a particular programme at an Institute are satisfied before adding it as one of your programme choice. Question: Can "Programme Choices" be modified after submitting the application? Answer: A candidate can modify his/her "Programme Choices" after submitting the choices, but before the last date of submission. They cannot change any other information in the application after submitting their application.